The paperwork is ridiculous now. I have never had to fill out so much paperwork for a check up. It's just something I have to deal with though. I would rather have a hand cramp then a tooth ache. I didn't realize that doctors had so much paperwork. I guess it makes sense with all the different insurances. Is there a different amount for dentists in comparison to surgeons? 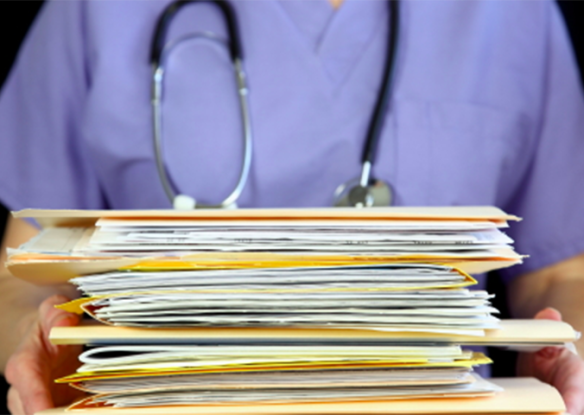 I wonder if patient-doctor interaction determines how much paperwork. To help save time in the Dentist office with all of the increases in regulation and paperwork, an upgrade in x-ray technology helps hedge these time constraints. We recommend that all dentist offices that haven't already, upgrade their old film x-ray technology to digital solutions.